German Flag. 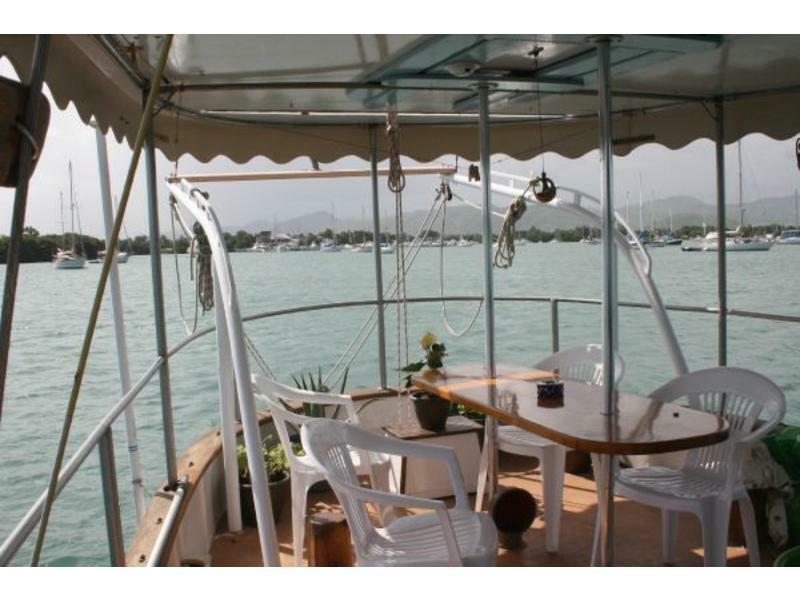 German liveaboard couple. No charter. WOIEE has been comprehensively refitted to accommodate seven in three staterooms with two heads, each with shower (one with bathtub). 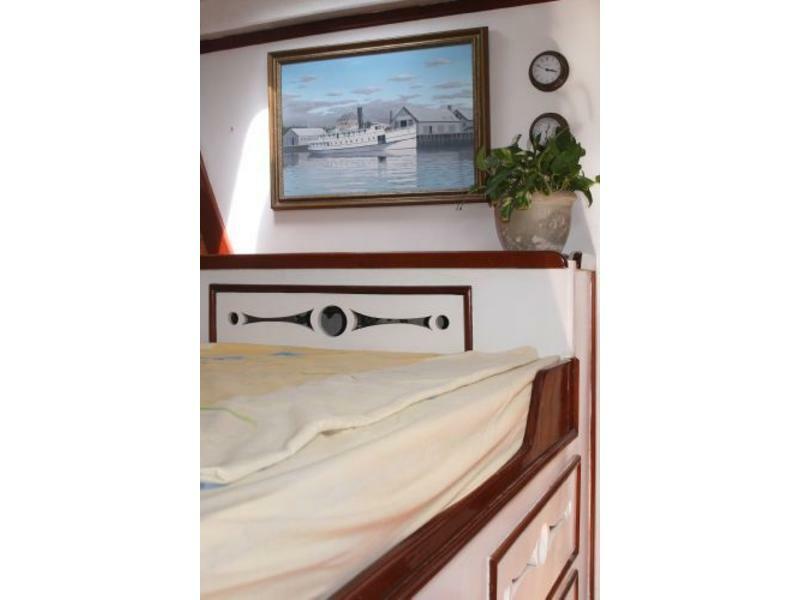 Owner’s stateroom is forward with double berth to port and single and drawers to starboard and head with shower ensuite. Private access is available through a forward scuttle. 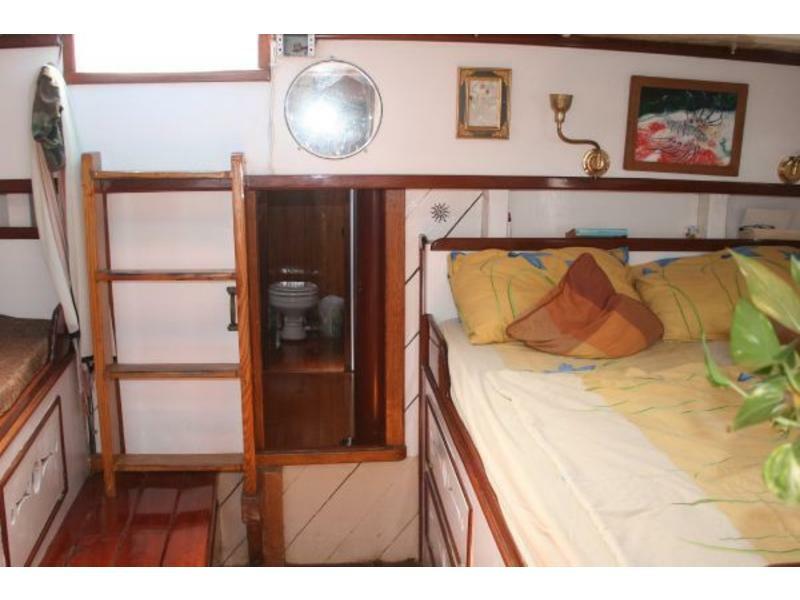 Two additional guest staterooms one used as storage), each with twin berths, are located amidships and share a head with bath. 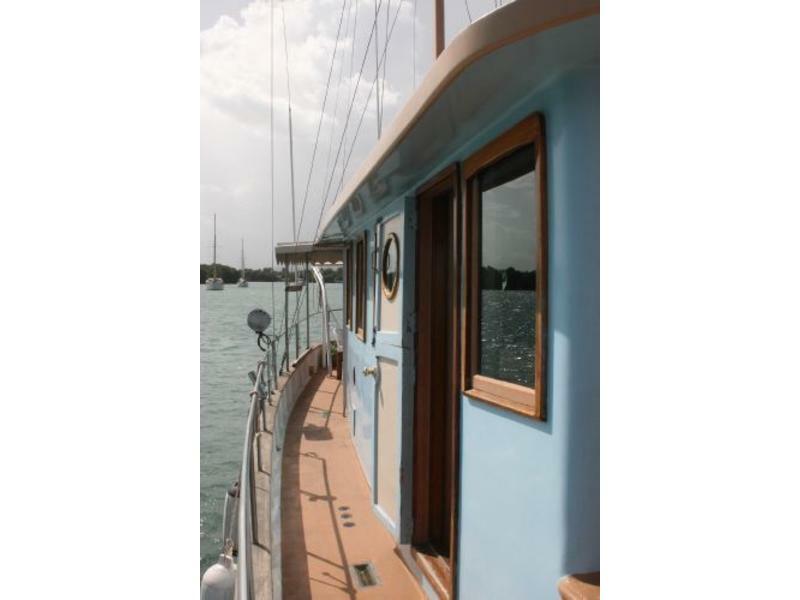 The deckhouse features large opening windows on all sides with helm station in the forward starboard corner. Wing doors to each side open onto wide, covered sidedecks. A U shaped settee surrounds the dining table to port with another settee opposed. 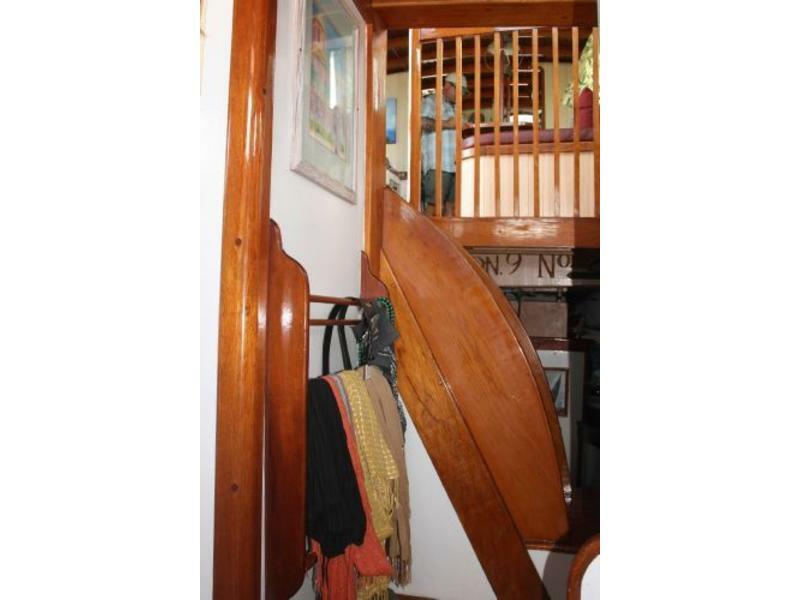 The fit and finish throughout is of exceptional quality. 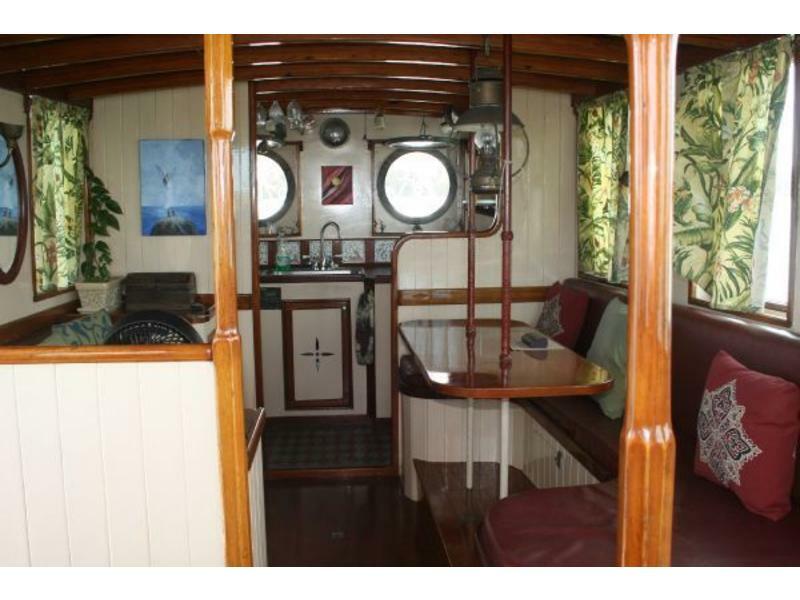 Trims are of varnished mahogany or oak with panels and varnished soles. 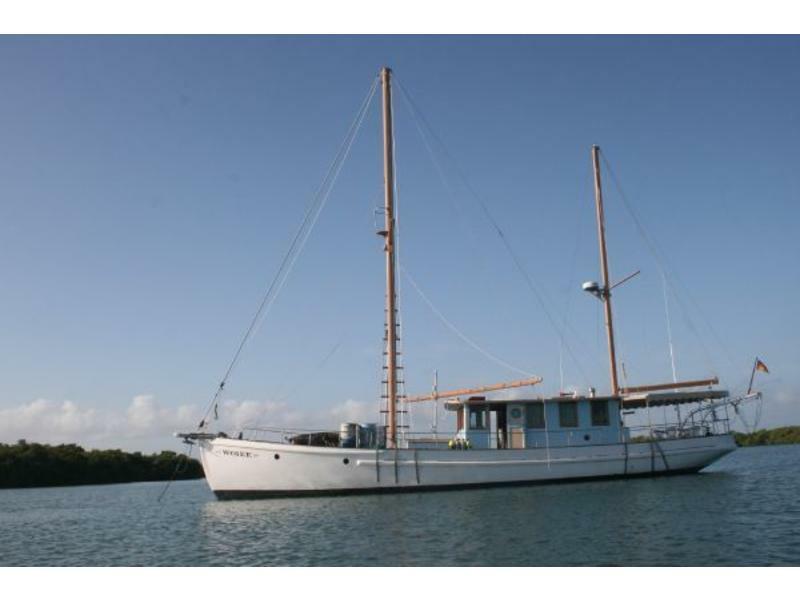 Deck areas are extremely pleasant with an enclosed fantail space and wide foredeck. WOIEE was USCG certified to carry 36 passengers until 2007.
the list is to long. please contact us for more Information.